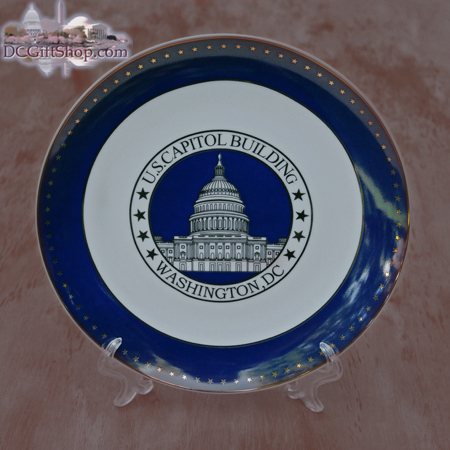 Complete your collection of Washington DC souvenir plates with this handsome ceramic U.S. Capitol plate featuring baked-on blue and white enamel and finished in 24 k gold. 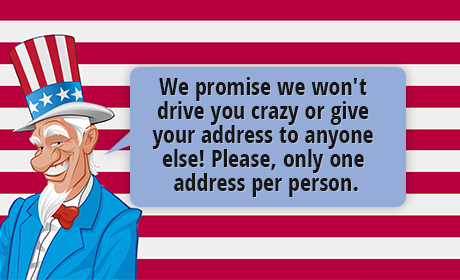 DC Gift Shop is pleased to offer this unique decorative keepsake plate to our discerning customers. The ceramic plate features baked-on blue and white enamel and is finished in 24 k gold. The rendering of the U.S Capitol Building is 24k gold on a presidential blue background surrounded by the words "U.S. Capitol Building Washington, DC", also printed in 24k gold. The rim of the plate is covered in 79 gold stars. Plate comes with decorative display stand and measures approx 8.25 inches in diameter. Great for anyplace that could use a little color and style. Please note: this plate is for display purposes only.